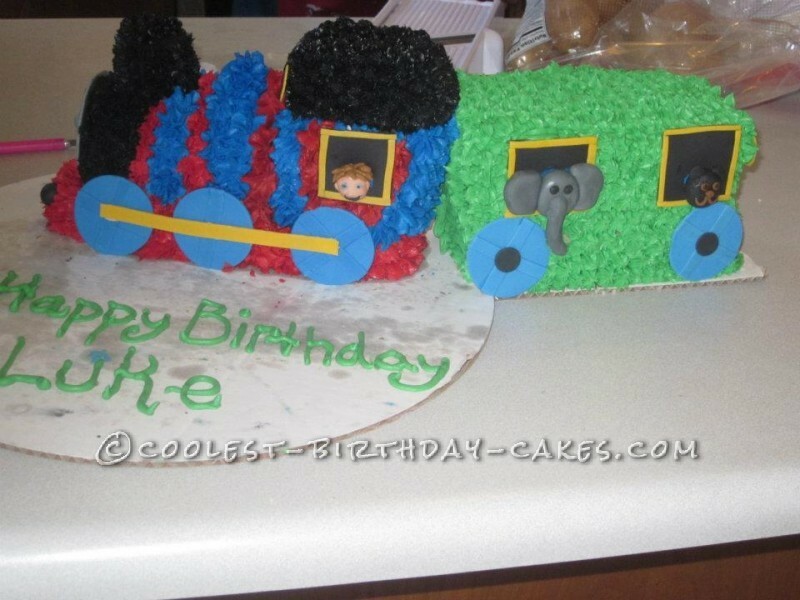 This Thomas the Tank Engine cake took me 21 hours to make this for my son’s first birthday. I’m still surprised how well it turned out. Getting the frosting right was difficult. Everyone loved it especially my son. I wanted it to be perfect. I worked all week including the day before my son’s party. 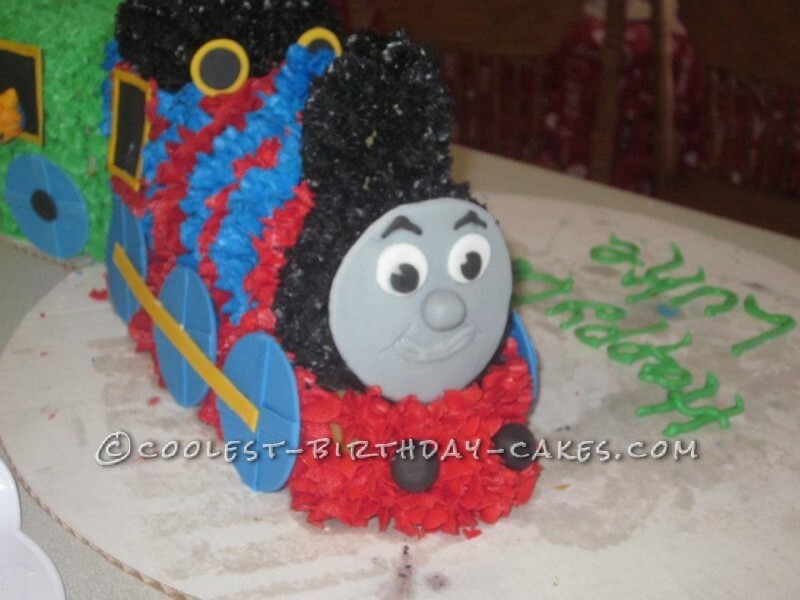 When I got home from work I got started on Thomas’ face, wheels, windows and the rest of the fondant details. Then I started making the cake which was a vanilla cake recipe that I’ve used for weddings. While it cooled I made the frosting which was a Vanilla Butter cream. I had to make 4 batches of it so I had enough. The hardest was getting the black frosting just right. I used a open star tip to frost both cakes, big size for Thomas. And small size for the train car. When my son saw it was the best reaction. He was wowed by it and still is. Looking at the pictures makes me think that I should have covered the cake boards. 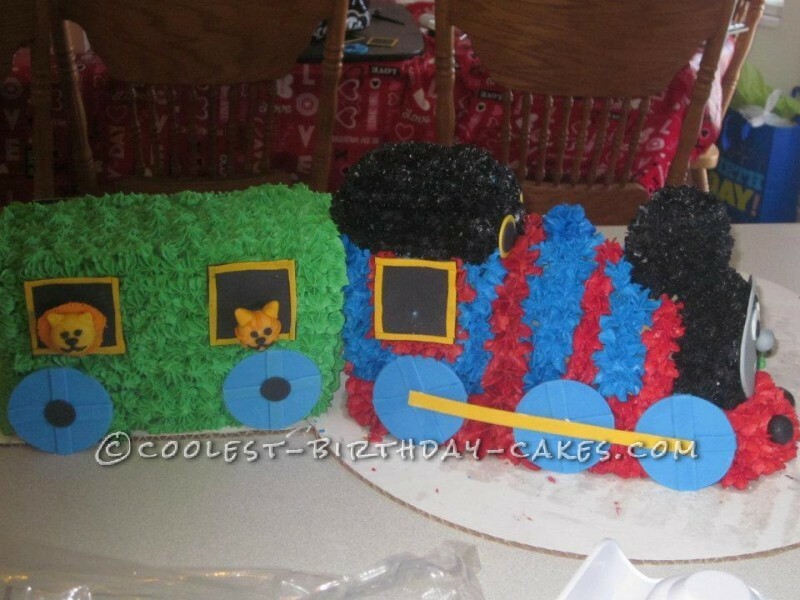 Birthday cake idea Posted by Janna A.